eBay spent more on marketing in the fourth quarter, but sales were nearly flat at a paltry 2% growth in GMV compared to a year ago. US sellers took the biggest hit – eBay reported GMV decreased in the US by 1% in the fourth quarter year-over-year – this despite the fact eBay effectively “paid” shoppers to buy through the use of sitewide flash sales that eBay subsidized. “Non-structured data SEO pages are delivering less traffic and lower conversion compared to a year ago, and while we increased our marketing spend in Q4, we experienced lower returns than expected. He said eBay would reduce certain marketing that showed lower return and would refocus its efforts on acquiring new buyers to drive growth. In other words, more of the same – in the fourth quarter, eBay was able to handily meet its revenue targets despite the lackluster GMV growth. As the Wall Street Journal wrote, “On the positive side, (eBay) delivered solid revenue of $2.9 billion, in line with consensus estimates and toward the high end of the company’s guidance.” It’s proof that Wall Street looks at performance differently than customers (sellers). Not that anyone was happy to see GMV stutter yet again. The analyst pointed out that eBay CEO Devin Wenig refused to address the pressure being applied by activist investor Elliott Management during the earnings call with analysts, and he predicted some contention over eBay’s stance against further breaking up the company. Focus on improving conversion and frequency rates for existing customers, including providing ways to compare values and surface unique inventory. Provide sellers with more data and tools with enhanced protections. Grow new users, including delivering new experiences and messaging to encourage first purchases. Provide new and existing customers with enhanced delivery and returns. Move more SEO pages to a catalog structured-data foundation, using Artificial Intelligence to opt in millions of listings. Continue to invest aggressively in advertising and payments. 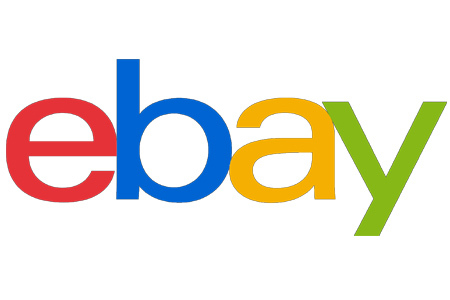 eBay released full earnings and announced it would issue a dividend for the first time ever, you can read more and leave a comment on the EcommerceBytes Blog. Sorry, mutually exclusive goals here. My fourth quarter year-over-year was down 27%. Ebay is a tailspinning plane crash into a dumpster fire. In lieu of all his polysyllabic, rambling, self-serving rhetoric, I’s suggest 3 simple words: sliding fee scale. Why is 10% such a sacred number? Why not 8% at $200? 5% at $300? How many sellers refuse to list anything over a certain amount because they hate the fees…and hate to pay Wenig a premium? Despite lowering my prices for Q4, the results were NOT good. Of the 285 items in my store, 76 of them had errors triggered by the New software change for Global Shipping sales, stated by eBay CS? Meanwhile another 145 ads had “PayPal.com” in the description, triggering more reasons for the ads NOT being in the search system? Many of the ads were missing 11 photos of the 12 I submitted due to eBay’s ;”photo Lost” when their servers had a meltdown? I simply dont have the time to fix those ads I made over the last five years? The manpower hours would be ridiculous! CS helped fix some problems and I said; ” if I have this many problems”, what about those who have stores much larger and older than mine? you see eBay idiots changed the software in India, and literally put eBay out of business with so many glitches in 2018, it was shocking how much money Sellers and eBay lost, all for the lowest bidder programmers of India! Penny wise; pound foolish is how eBay management thinks! You need new buyers because you lost so many. I used to buy alot on ebay. Its now too difficult to tell what is real, vs. fake, or domestic vs. china, actual good deal vs. drop shipped. Rope in all the new buyers you want, but unless the core buying experience stops ending in disappointment, no amount of freebies or advertising will bring people back. ceo is a idiot, the bod is even bigger idiots. and gm is even bigger idiots. how a delusional sociopath has a job as a ceo makes no sense. Most of Derpy’s talking points are meaningless lies. Lies: Focus on improving conversion and frequency rates for existing customers, including providing ways to compare values and surface unique inventory. Fact: eBay has no way to compare values, at least not the way sites like Newegg have been doing for years. eBay also works hard to surface Chinese inventory which is far from unique while suppressing inventory of local sellers with many tricks. Lies: Provide sellers with more data and tools with enhanced protections. Fact: eBay takes away tools, takes away data, and has no protections to enhance. Lies: Grow new users, including delivering new experiences and messaging to encourage first purchases. Fact: Buying and selling are not new experiences. Buying and selling on a decrepit platform that falls apart a little more each day aren’t either. Hiding listings does not encourage purchases. Lies: Provide new and existing customers with enhanced delivery and returns. Fact: eBay does not deliver and so cannot enhance delivery. All the carriers, who do deliver, have enhanced are the costs. Returns are something eBay should avoid rather than enhance. Nobody in their right mind wants to have to return anything. Enhancing returns sounds like enhancing gun shot wounds. Lies: Move more SEO pages to a catalog structured-data foundation, using Artificial Intelligence to opt in millions of listings. Fact: eBay knows nothing about SEO. Its artificial intelligence isn’t intelligent because eBay’s feeding it with the mush in Devin’s head and the fifth-rate skills of India’s slums. Lies: Continue to invest aggressively in advertising and payments. Fact: Payments provide zero value to sellers. Even in the case of the initial Paypal push, which may have provided marginal value over cash for a subset of sellers, this is a 1:1 replacement at best. It creates no additional value and likely _subtracts_ a great deal in the form of eBay’s trademark lousy security and incompetent design. Advertising likewise provides zero value when listings are actively hidden and actually subtracts value when it’s used to lure customers away. The only people dumber than Derpy Wenig are the imbecile that hired him and the Board of Duhrectors that won’t fire him. Things will never be better unless they revamp search to be fair and actually help sales instead of hinder them. Investors should all sell sell sell this crappy stock in such a crappy company.